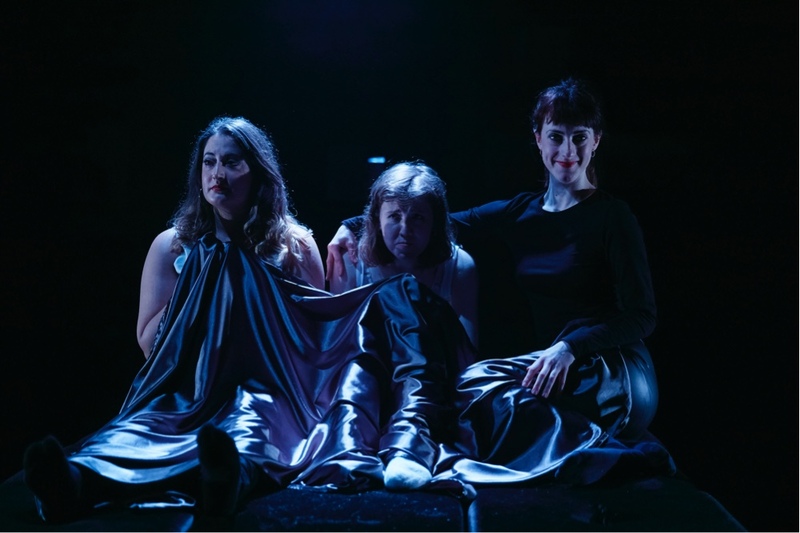 Daring to go where no other Lesbian comedy drama does, Grotty takes you to the underworld of the London lesbian scene. No subculture is left unturned and no mind game is left unplayed. It’s weird, creepy and funny. And currently playing at The Bunker. Written and performed by Izzy Tennyson, she introduces you to the world of London lesbian scene. It’s a scene that takes place in “a couple of little sad old basements that drip with sweat and piss.” At this point it’s tempting to scour your surrounding just to reassure yourself this basement theatre is not one of them. It’s lovely and worth a visit for it’s provocative stories. Including this one. Tennyson plays Rigby, a young girl with two girlfriends. One named Toad (Rebekah Hinds) who likes lesbian bingo and curry. The other’s named Witch (Grace Chilton) who is a tattooist and likes putting Rigby in a dog collar. Both have very nice flats and strange proclivities that Rigby indulges for reasons that aren’t always clear. Rigby is a clown-like character, grimacing and shuffling about the stage. Her shifting and shuffling also extends to her story as you realise she’s an unreliable narrator. Not everything is what it seems. And amid all the bitchiness and bullying a story emerges about loneliness and isolation in the big city. 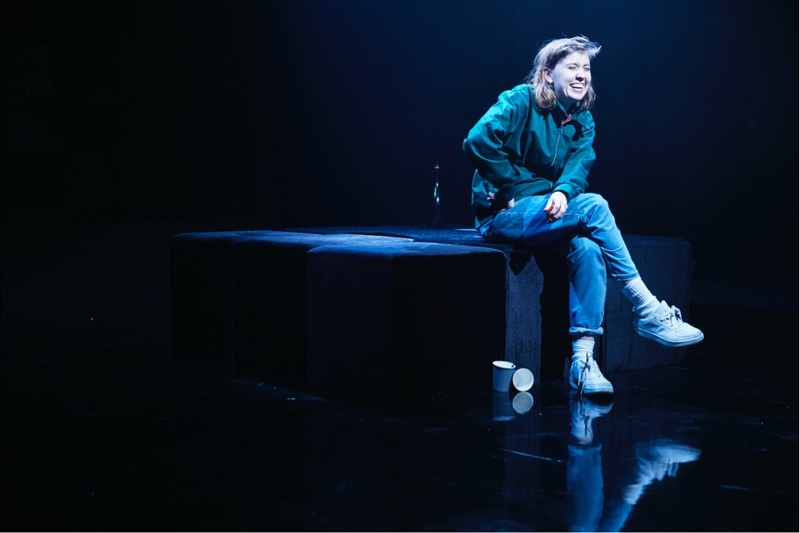 If you’re cup of tea is a show that promises an unflinching look at its subject then this show delivers. Although behind all the cheap laughs and shocks what Rigby is looking for is something else. Perhaps the show runs on longer than necessary, but Tennyson weaves a fascinating tale that has broad appeal. 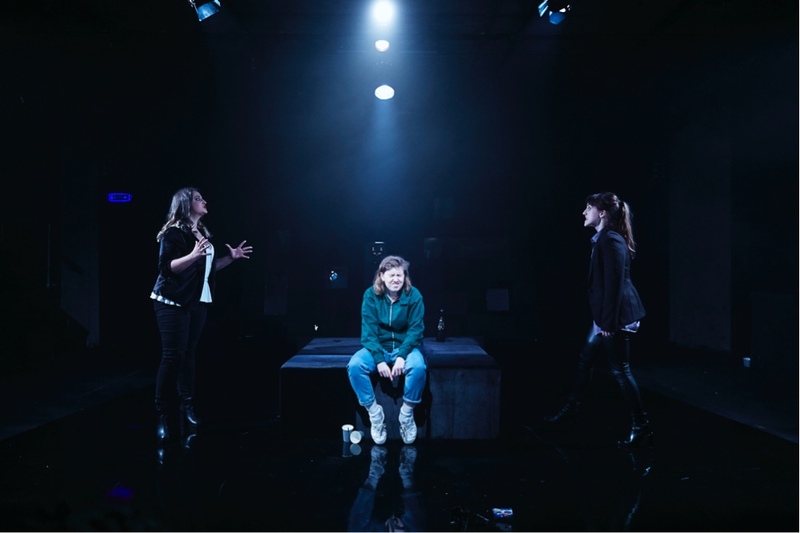 Directed by Hannah Hauer-King, Grotty is at the Bunker until 26 May.